Crazy about retro & vintage phones? I sure am! 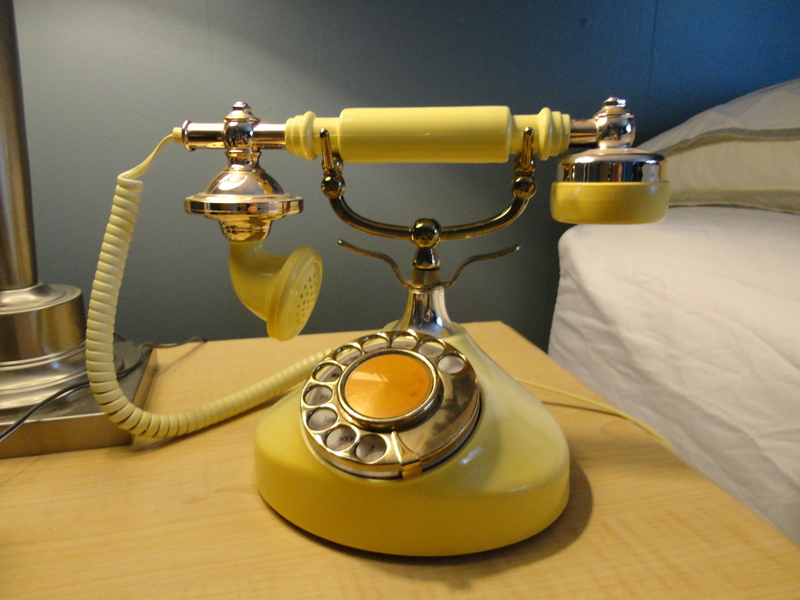 Earlier in the year I found this Victorian Inspired Vintage Pale Yellow Princess Phone (Rotary) at the Rockland garage sale. Even though I use a cell-phone more these days there is still nothing like a real traditional dial phone. This same princess phone [as pictured] is being sold in different colours online for between $45-$60. For the circa 1970’s (some are early 80’s) age this phone is in pretty good condition. It’s all about if it is working condition for me unless it is being used as a prop. You may see some of these replicated princess phones created in the later days (90’s onwards) in touch-tone (full push button) version. 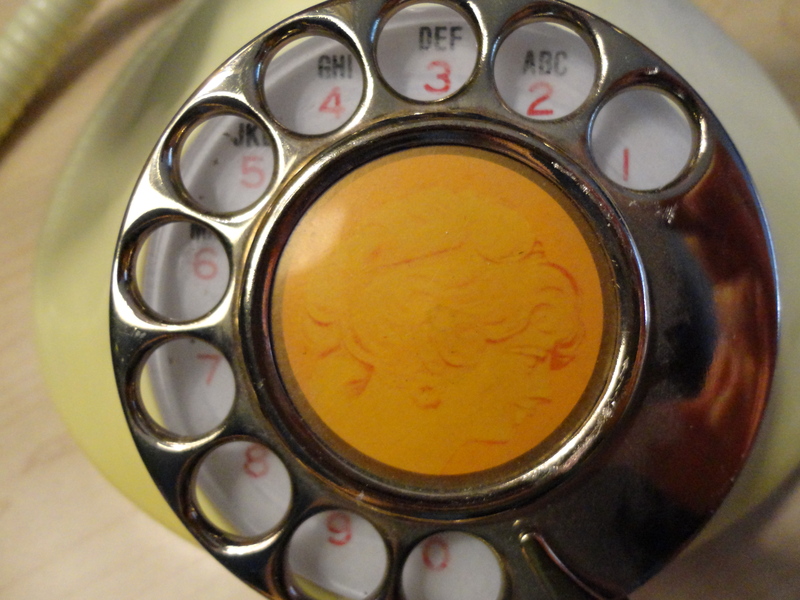 To my surprise the debut of the push button (touch-tone) telephone actually took place in November 1963. The replacement of the rotary dial phone came before I would of guessed by a long shot. Read more about the rise of the touch-tone. How aged is the color? Do the ascent metal surfaces have patina? To look for the age and location made I always looks for a sticker/identifier for some phones it will say Made in Japan (or Made in wherever) and may include a serial number and a label that suggests a date inspected on the bottom. Check to see if the locking pin on the wall plug is loose. Ensure the cord fits nicely into a modern phone jack.